This Homer Laughlin Gothic 12 1/2" plate is enriched with ornamental embossing and sophistication. 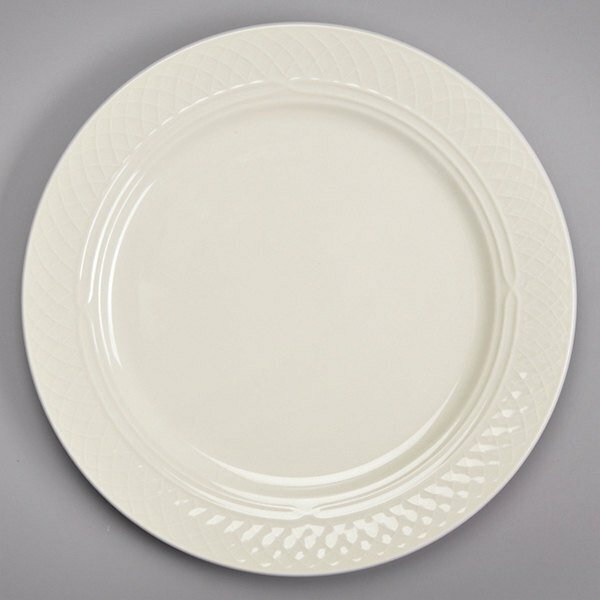 Made with high-fired, lead free glazes, this creamy white / off white plate has a wide rim embellished with intricate lattice sculpting and a pointed-arch pattern. 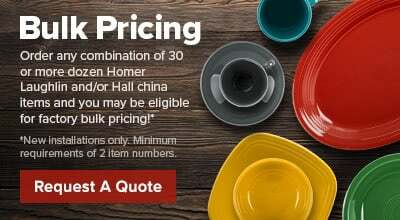 This Homer Laughlin Gothic plate has a satiny texture, yet maintains a chip-resistant durability. With smooth, rounded edges, this Homer Laughlin Gothic plate can be used to serve celebrated culinary masterpieces. It's perfect for chic restaurants, hotels, or catering events.